We sell a wide variety of supplies and accessories!! This versatile gun vise is engineered with a full range of adjustments. It tilts, clamps, and inserts to securely hold any firearm. The padded contact points protect the firearm during cleaning, maintenance, or gunsmithing, even bore sighting. There is a growing category of firearms owners that want to secure their firearms but want an affordable alternative to fire resistant safes. Constructed of plate steel with reinforced doors, these safes fill the need of this growing segment. This category of safes feature fully carpeted interiors, Stack-On´s patented barrel rests and standoffs for scoped guns as well as 1" live action locking bolts which are standard on all Stack-On safes. 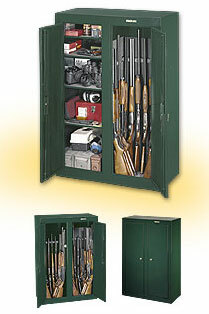 Great entry level security for firearms and valuables. These all steel cabinets are built with 3 point locking systems that secure the door at the top, bottom and opening side of the door. A full length, piano type, steel hinge runs the length of the door for greater security. These cabinets have gone through California DOJ testing, which include a hacksaw test, impact test, door pull/pry test and a lock manipulation test, and have met the testing requirements set out by the California Department of Justice to be approved firearm containers. All of Stack-On's Security Cabinets and Safes have been tested and approved by California's Department of Justice as approved firearm lock boxes or security containers. 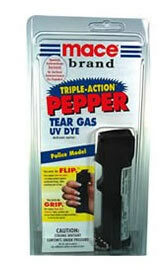 You can safely DEFEND YOURSELF in a threatening situation with the effective power of Mace Pepper Spray. 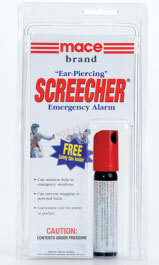 The Screecher emergency alarm's high-pitched shriek is readily recognized as a distress call that can be heard up to 1/4 mile away. We also have a Selection of MACE products available. We sell a wide variety of supplies and accessories for the outdoor enthusiasts! We have over 7,000 Products in our store! Come Check us out You won't beat our prices!!! Northeast Trading Co., Inc. is one of the larger Firearm retailers in Massachusetts. In our 20 years of operation our customers have discovered that our service, inventory, and prices are second to none. If we don't have it in stock--We will get it in a timely fashion. We have hand guns, rifles and shotguns available on consignment.